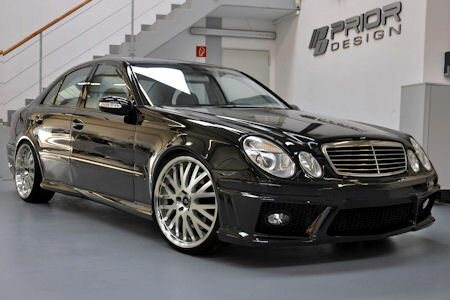 Although the Mercedes E-class type W212 is retired now, but German tuner Prior Design thought it’s a good idea to cheer up its owners by giving them a new body kit! 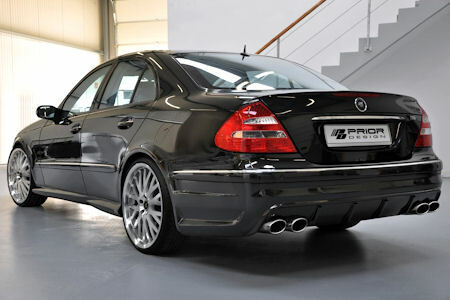 So thank to them you can turn your old E-class into an AMG lookalike. At front, there’s a new bumper with huge air grilles and new fog lamps and side slashes just like the new E63 model. Then there’s the side skirts and modified rear bumper with a diffuser which has pronounced fins for extra sportiness, and four tailpipes. Prior also offers a set of their sporty wheels measuring 8.5 x 20-inch at front and 10.5 x 20-inch at the back.